Since 1 November 2013, police have proffered more than 7,800 charges under Queensland hoon laws for traffic offences including dangerous operation of a motor vehicle, street racing, evading police and speeding at more than 40km/h over the legal speed limit. 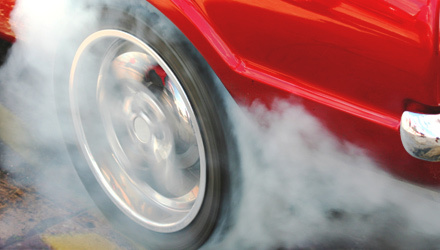 Under the new laws anyone caught doing burnouts, donuts, drifting or other hooning behaviour can have their vehicles taken off the road for three months. Any follow-up offending within five years will result in the offender’s car being forfeited and sold or crushed. 130 charges for doing burnouts. Police have so far taken at least 634 vehicles off the road for the full three months while a further 189 are set to be either sold or crushed. A further 940 drivers had their cars seized or their numberplates confiscated for a week after being charged with hooning offences.